Astridestella.info: I'VE BEEN TOLD I'M PSYCHIC-HOW CAN I DO READINGS? I'VE BEEN TOLD I'M PSYCHIC-HOW CAN I DO READINGS? I am often asked I've been told I'm psychic, another medium told me this, how can I go about doing what you do and do readings? Most of the time its often a psychic on a premium line has told them this, or they have misinterpreted what they have been told. A common misinterpretation is many people don't know the difference between a psychic and a medium and confuse the two. Everyone of us has a potential to develop our psychic abilities as it's one of our natural senses, animals have retained theirs for they use it regularly for survival, and this is what we have this sense for. Over our evolution as human beings we no longer had to make use of it, so we stopped using it (most people have) you may like to call this sense intuition but intuition and psychic are one and the same. Mediums on the other hand work on a different vibration they are able to communicate with disincarnates i.e. spirit, people who have passed on from this life on earth. Not everyone has this ability it is achieved through many lifetimes by souls who have evolved to a spiritual level, they understand the rules of the Universe and have gone through many tough challenges in their many lifetimes, experiencing situations from all sides and understand the concept of unconditional love and thus been gifted this from Spirit. Mediums are also psychic as they have evolved through this vibration to the higher one enabling them to communicate with the spiritual beings that reside there. Psychics are able to tap into the Auric field that surrounds all living things, this is an electromagnetic field of different layers and it contains details of our past, our present, and our potential future. This is how they do their readings. The confusion from the public arises as the client has been given details of someone who has passed over, so they think the psychic is able to communicate with this person's spirit, however your auric field can contain such details. 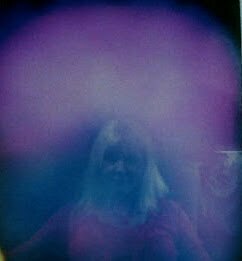 They go on to say that an event will happen as the psychic can obtain details from the clients aura and its assumed this is coming from the deceased spirit. Psychics need to tap into a clients vibration to do a reading, whether, its their voice vibration, a photograph, a piece of jewellery or writing as they are picking up feelings from this. Mediums do not need to have this direct link at all, for they communicate totally differently and often work with spirit guides and helpers to act as an intermediator between the client's own guides, and yes we all have guides in spirit to help us through life, instilling guidance and strength to help us through our lifetimes challenges. I have been asked who is my guide? well we don't always have one many are transient to help us with different situations. Coming back to the original question, of how can I become a psychic and do readings? Well it is something that needs work and guidance, often this can take many years, many develop on their own to a certain extent but eventually its going to need guidance from an experienced Medium and teacher, this isn't something you can achieve through Skype, internet or books alone but in a regular circle with kindred souls and be willing to be dedicated often for years, it won't happen overnight. Whether you will become a medium well that is up to spirit who will judge if you have achieved the criteria of lessons necessary to understand the Universal laws. As for becoming a psychic and reading for the public there are many codes of conduct and ethics to master and good counselling skills are necessary. We all have personal responsibility, what you say to a client can have an effect on the client, some good, but many can have a detrimental effect and just because money doesn't change hands, if you are doing this for free, don't for a moment think you are not responsible for a consequence that may happen as a direct result of what you have said to a client, you are responsible for everything you say and in this day and age where there is a society willing to proceed with litigation this is very important. These skills cannot be achieved overnight, if often takes many years and there are no guarantees you will ever be good enough to read for the public no matter how many years you put in. A final note there are as many bad psychics as good out there and with the bad ones they don't seem to realise the concept of their actions and have personal responsibility for what they say, who is to say they are correct in their interpretation of what they see in reading for a client? If you are meant to go on to develop and use this ability, it will happen for it will have been planned before you incarnated on this earth, if its not in your destiny, it won't no matter how hard you want this.